First lay cut and lay out your eight strands of waxed Dacron. I generally cut the pieces one and-a-half times the length of the bow. 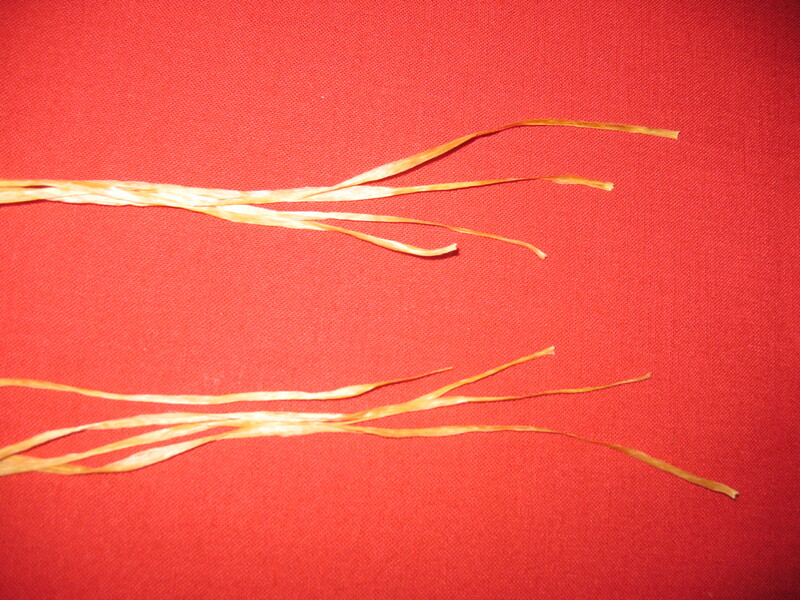 Now separate the strands into two bundles of four strands each. 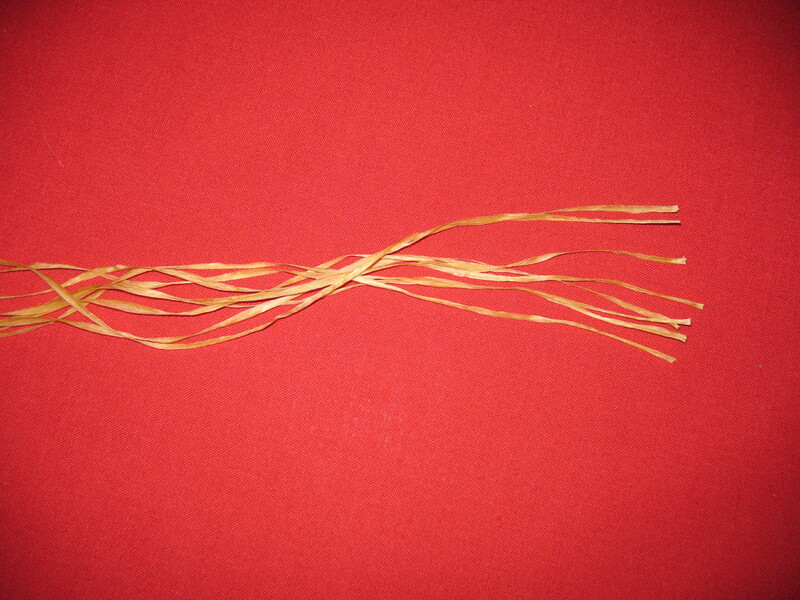 Offset the strands in each bundle by about an inch apiece. 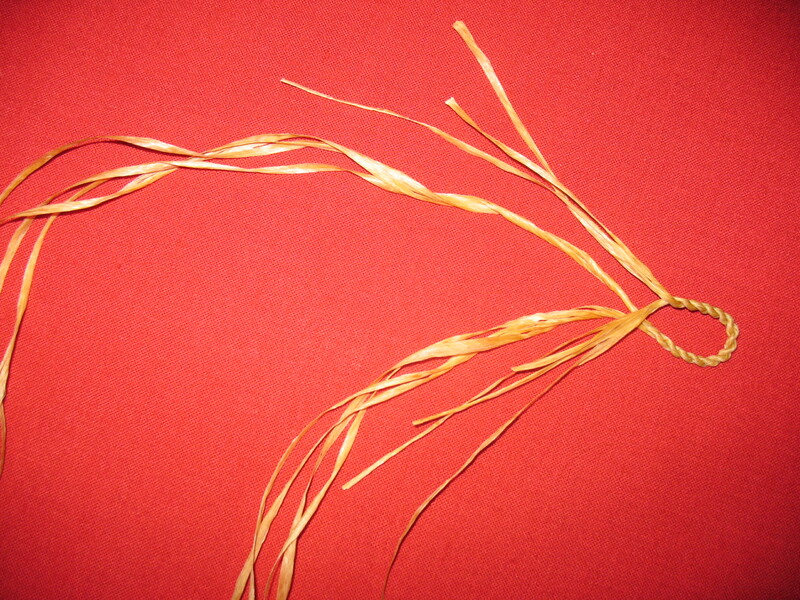 Now drop down about two inches below the shortest strand in each bundle and begin twisting the two bundles together using the reverse wrap. 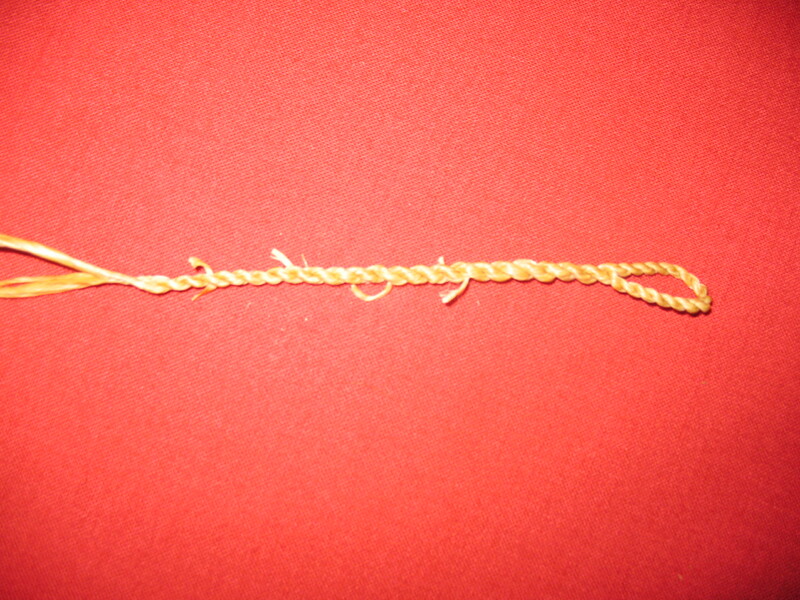 Keep twisting until you have twisted up about two or two-and-a-half inches of string (this will depend on how large you want your loop). 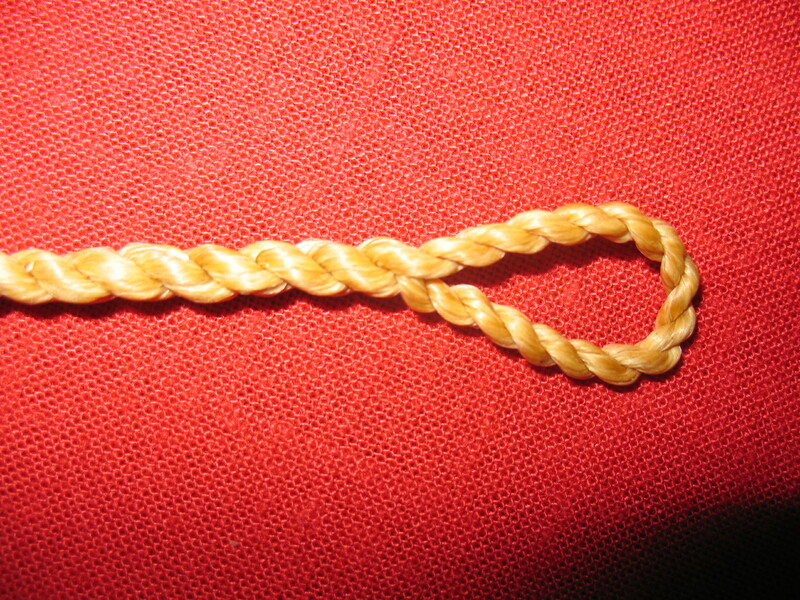 Next fold the twisted part of the string over onto itself to form the loop. 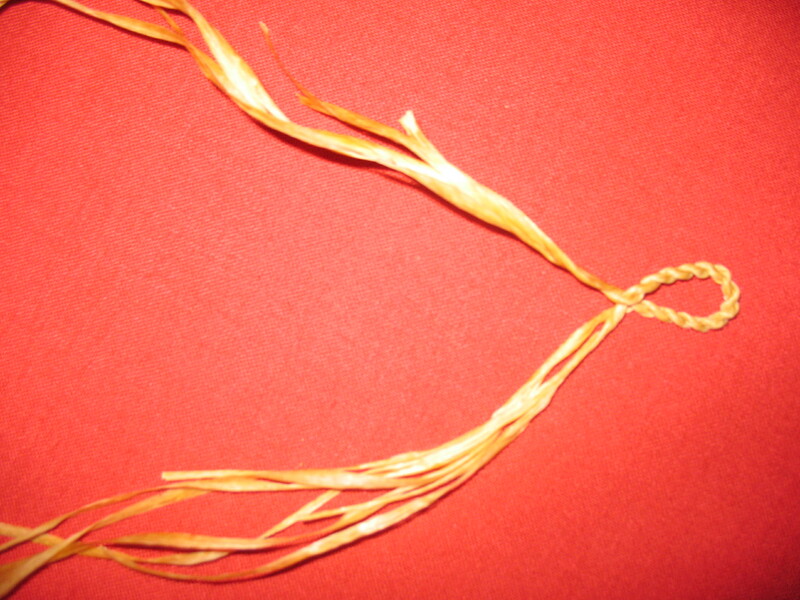 Take each of the offset ends of the bundles and lay one of them down on each of the long portions of the bundles. With waxed Dacron you can kind of squeeze them to meld the offset portion into the corresponding long portion. Now continue your reverse wrap with the melded bundles. 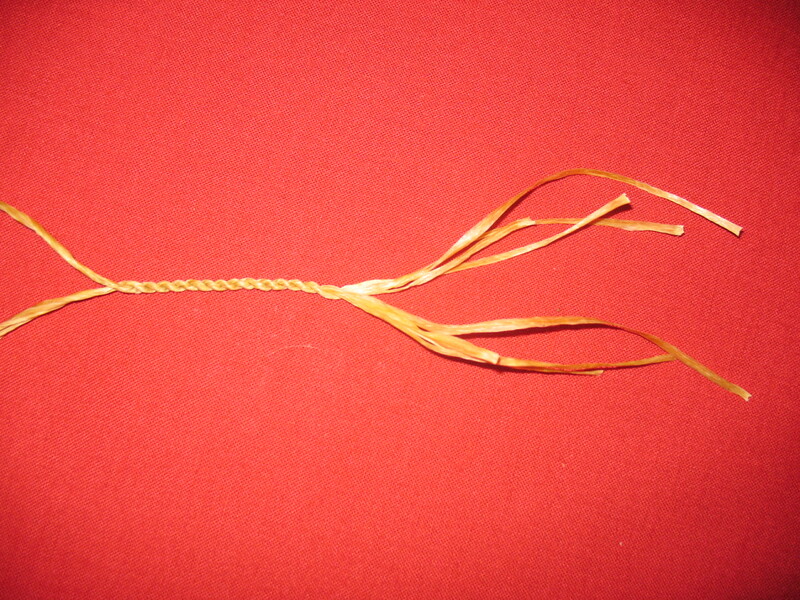 Because you off set the strands to start with, the string will now taper down smoothly as you continue twisting. When you get to the point where each bundle has only four strands in it, you can stop and go back with a pair of scissors and trim of any ends that are sticking out from the offset strands. 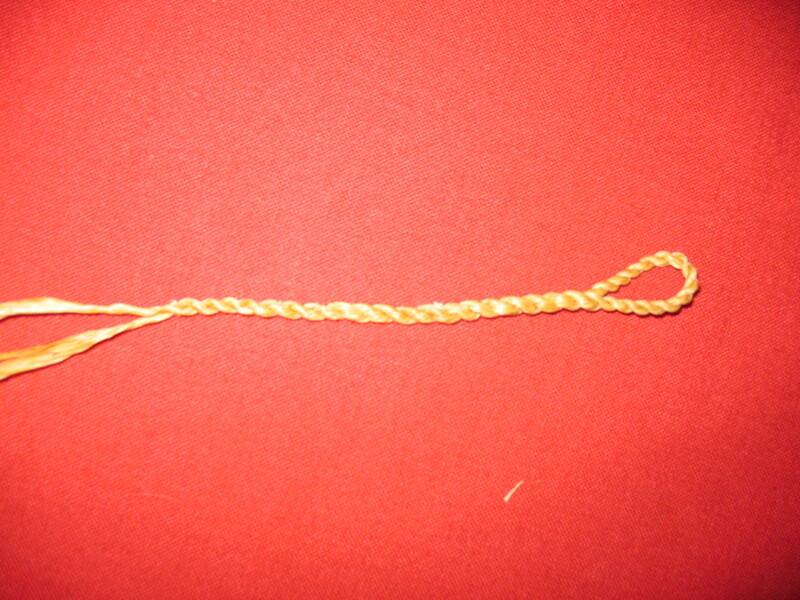 Continue twisting until you have completed the entire string and tie an overhand knot in the end of the string to keep it from unraveling. That’s all there is to it.